A social media manager has to be creative on demand. We have got something for you that will give you inspiration for posts and campaigns whenever you need! The latest and finest posts on Facebook and Instagram all at one glance (soon even Twitter). The new Fanpage Karma Discovery shows you the most interactive posts of the two networks with one click. This way, you will always find out what the latest trends and the hottest topics are. Different filters then help you to narrow the ranking down according to your needs. If you already have a specific topic in mind, you will find out in no time what the best posts about it are. Just type a keyword into the search and browse through the list. Like this, you will learn which posts are most successful, for example about “football”, and WHO posted successfully on the topic. That is the information you need to find relevant influencers for your product or brand. 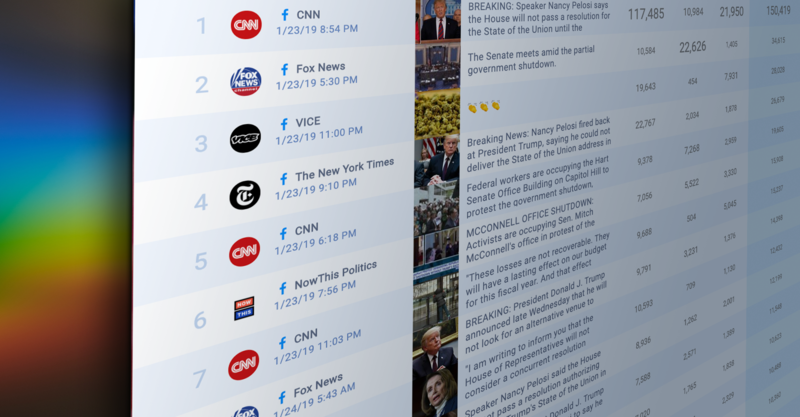 The post ranking shows you the posts of more and more pages in real-time. You can, of course, have a look at older posts, too. Simply change the time frame to the past weeks or months (from January 2019 on). In order to find exactly the posts that are relevant to you, you can choose their region, language, post type, and category. Examples of categories are people, brands, sports, news or politics. Let’s say you are responsible for the Facebook Marketing of an American fashion label. You would probably want to know what other labels published about the fashion week. So you set your filters on Facebook, brands, United States and type in the keyword “fashion week”. For more accuracy, all fun pages can be excluded from the post analysis. Their unusually large follower bases and interaction rates could distort your ranking. Find out about the latest and finest posts and trends right now. You can test Fanpage Karma Discovery two weeks for free together with your whole team.